This is one of the first images taken by NASA's Curiosity rover, which landed on Mars the evening of Aug. 5 PDT (morning of Aug. 6 EDT). It was taken through a "fisheye" wide-angle lens on the left Hazard-Avoidance camera on the left-rear side on the rover at one-half of full resolution. President Obama has challenged NASA to aim for a human mission to Mars in the 2030s after sending astronauts to visit an asteroid in 2025. To that end, NASA is developing new deep space vehicles as part of that effort, but the space agency is also facing proposed budget cuts to its planetary exploration program — and particularly future unmanned Mars projects. The success of the Curiosity rover on Mars, however, could potentially help win support for future missions. NASA launched the rover in November 2011. The nuclear-powered Mars rover Curiosity is the centerpiece of NASA's $2.5 billion Mars Science Laboratory mission. It is expected to spend two years exploring the huge Gale crater on Mars and searching for evidence that the region is now, or was once in the past, habitable for primitive microbial life. NASA Chief Charles Bolden said President Obama has laid out a bold plan for human exploration of Mars and that the Curiosity rover's expedition is among the first steps into that frontier. "Today, the wheels of Curiosity have begun to blaze the trail for human footprints on Mars. Curiosity, the most sophisticated rover ever built, is now on the surface of the Red Planet, where it will seek to answer age-old questions about whether life ever existed on Mars — or if the planet can sustain life in the future," Bolden said in a statement. 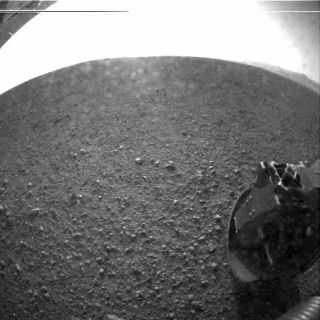 Visit SPACE.com for complete coverage of NASA's Mars rover landing. You can follow SPACE.com Managing Editor Tariq Malik on Twitter @tariqjmalik and SPACE.com on Twitter @Spacedotcom. We're also on Facebook & Google+.